Västgöta University’s temporary principal receives death threats, so the ceremony where a German professor will receive her honorary doctorate is heavily guarded. Despite that the ceremony ends abruptly, and literature researcher Helena Waller finds herself involved in the search for a killer. Several of the novel’s characters have ties to DDR. Does that have anything to do with the murder? 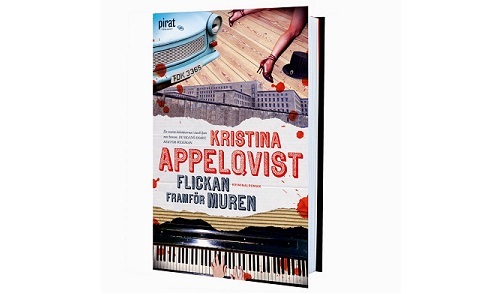 This is the second novel in Kristina Appelqvist’s series about literature researcher Helena Waller. She tends to find out a lot more than the police (who sometimes do not even seem to care) and this cannot only be explained by the fact that she has keys to the victim’s apartment. It took me a while to get into the novel and I thought that the story would not engage me. I had changed my mind towards the end, but the start was still too slow. I like the political connection and it is interesting to read about DDR and how views of the same thing can differ so much. The novel is an easy read and if you are ok with a slow tempo and prefer a cozy crime without too much violence then this is a good choice, since it does have some unexpected turns.